Color: Brown or grey with white feet and underbelly. Tail is dark on top and white on bottom. Region: Found across the U.S. 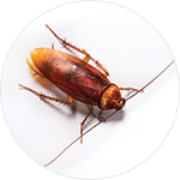 The American cockroach, or palmetto bug,” is the largest house infesting cockroach. 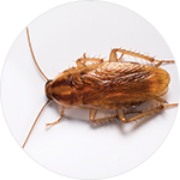 Despite its name, the American cockroach is not native to North or South America, but was most likely introduced via ships from Africa in the17th century. Brownbanded cockroaches are characterized by the two lighter bands they have across their dark brown bodies. 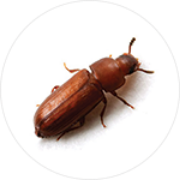 While male brown-banded roaches have full wings that reach beyond the tip of their pointed abdomens, females have underdeveloped wings that don’t allow them to fly. 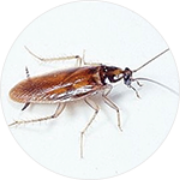 This cockroach is less common than other species, but may be found in multi-unit dwellings or other residential buildings. 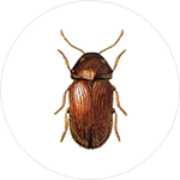 The German cockroach is the most common species of cockroach, found around the world. 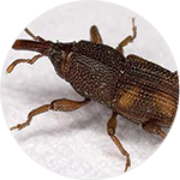 They prefer to live in cracks and crevices near food and moisture sources, making residential and commercial kitchen environments their perfect home. 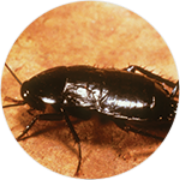 Oriental cockroaches can be found in sewers and in moist, decaying organic matter. 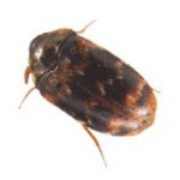 They are also referred to as “waterbugs” and “black beetle cockroaches.” Their immature stages are often confused with the immature stages of American cockroaches. 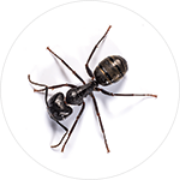 Carpenter ants are known for excavating wood in order to build their nests. Creating smooth tunnels inside the wood, they leave small piles of sawdust, where you can find dead insects and insect parts mixed in. 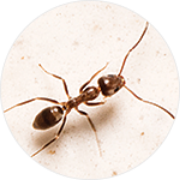 Despite their name, pavement ants can also infest structures. 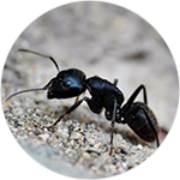 Pavement ant colonies are moderately large, averaging around 4,000 workers with several queens. 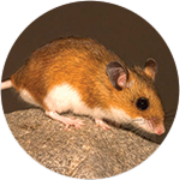 They can often be recognized by the small mounds of dirt they excavate where they are nesting. 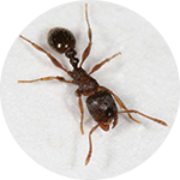 Region: Found across the eastern half of the U.S., one of the most common ants in the Midwest. Argentine ant colonies can grow to substantial size. A single colony can contain several hundred thousand workers, their colony borders sometimes covering entire habitats. 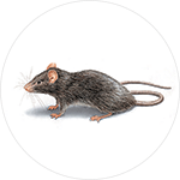 Region: Found mainly in Southeastern and Southwestern U.S. 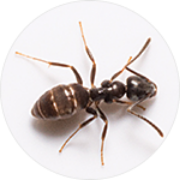 The odorous house ant is characterized by the strong, blue cheese odor it gives off when crushed. Pharaoh ants get their name from the mistaken belief that they were one of the plagues of Egypt during the time of Pharaohs. 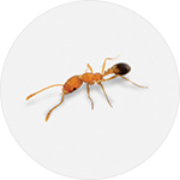 Although they are thought to be native to Africa, Pharaoh ants are currently found throughout the Unites States. Little Black Ant colonies are moderate to very large and contain many queens. Fruit flies get their common name from their small size and affinity for over ripening fruits and vegetables. 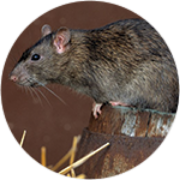 They have been shown to vector food borne pathogens such as E coli. House flies get their name from being the most common fly found in homes. 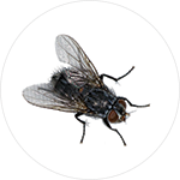 Adult house flies usually live between 15 and 25 days, completing their life cycle in as short a time as 7 days. 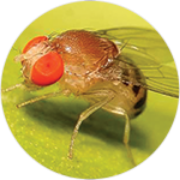 Phorid flies will feed on all types of decaying plant and animal matter. Drain flies are often rest on surfaces and are fairly easy to swat and kill. The immature stages feed on bacteria, algae and fungi living in the slime layer of drains and water treatment plants. 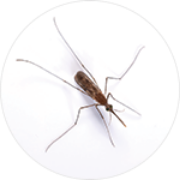 Bottle flies are attracted to lights and will often be found inside insect light traps and along windows. They are excellent fliers and some species may travel over 20 miles. 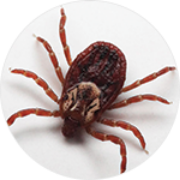 The American dog tick gets its name from the fact that adult ticks prefer domestic (American) dogs as hosts. 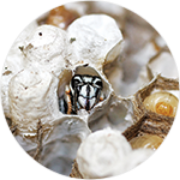 The bald-faced hornet is a relative of the yellow jacket and gets its name from its black body and white face. Black widow spiders are most recognized for the red hourglass shape under their abdomen. They get their name from the myth that the female black widow spider eats the male after mating—but this rarely happens. 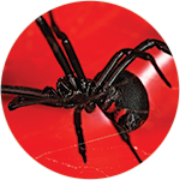 Black widows are poisonous only when ingested during the first 17 days of their life. Brown marmorated stink bugs are an invasive species from Asia that arrived in Pennsylvania in 1996. 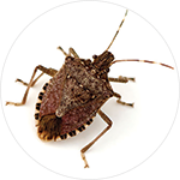 The stink bug earned its name from its ability to release an odor when disturbed or crushed. Brown recluse spiders have a characteristic dark brown violin-like mark on their back. These spiders often infest cedar shake roofs and spin irregular webs. 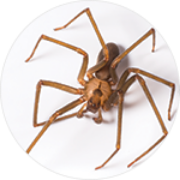 Long-bodied cellar spiders are found in dark and damp places like cellars and basements. There are approximately 20 species of cellar spiders in the United States and Canada. 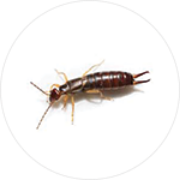 Earwigs got their name from the myth that they crawl into sleeping people’s ears and tunnel into their brains. 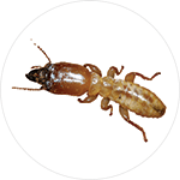 The long cerci, or forceps, on their backsides easily distinguish an earwig. 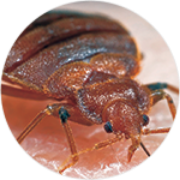 Fleas are parasites that feed on the blood of any warm-blooded animal. 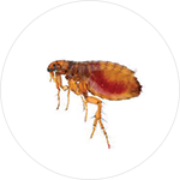 The most common species is the cat flea, which often feasts on cats, dogs and humans. 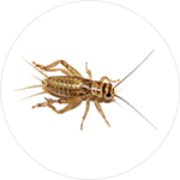 House crickets are known for their loud chirping, produced by friction created by their wings. 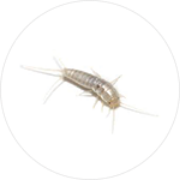 This insect gets its name from its silvery, metallic appearance and fish-like shape and movements. 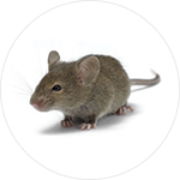 They tend to go unnoticed by humans, which means any damage they have caused could go unnoticed for a long time. 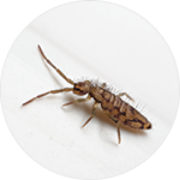 Certain species of springtails are referred to as “snow fleas” when found in winter, but they are not fleas at all. Springtails get around by jumping, using a unique catapult system. Their jumping is especially noticeable against white snow. 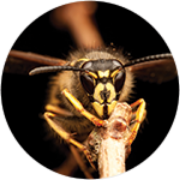 There are several species of yellow jackets in the United States. 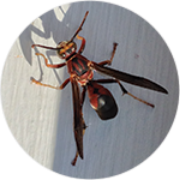 These flying insects typically have a yellow and black head and face with patterned abdomen.